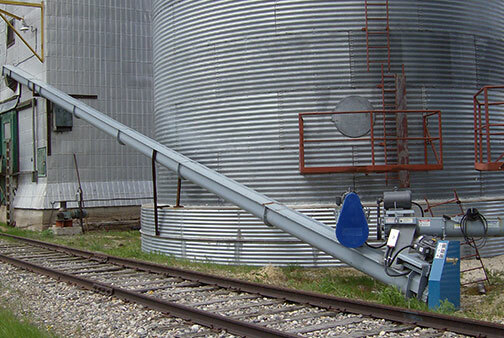 Norstar Screw Conveyors offer a cost-effective and versatile conveyance solution. 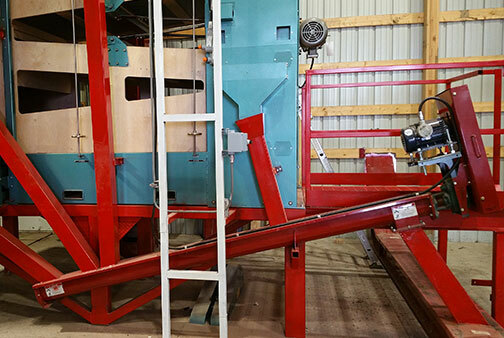 Able to be utilized for overhead and on-grade conveyance applications, U-Trough Screw Conveyors can operate in a wide variety of situations to move your product with ease. 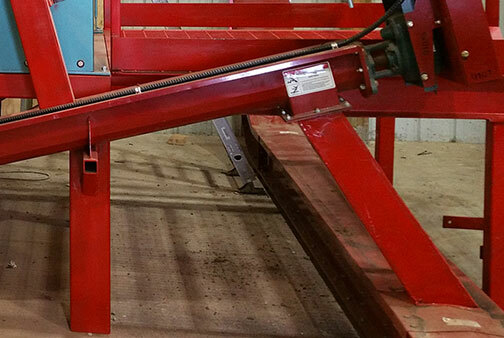 Our U-Trough design is rigid and durable, providing long-lasting functionality to your operation. 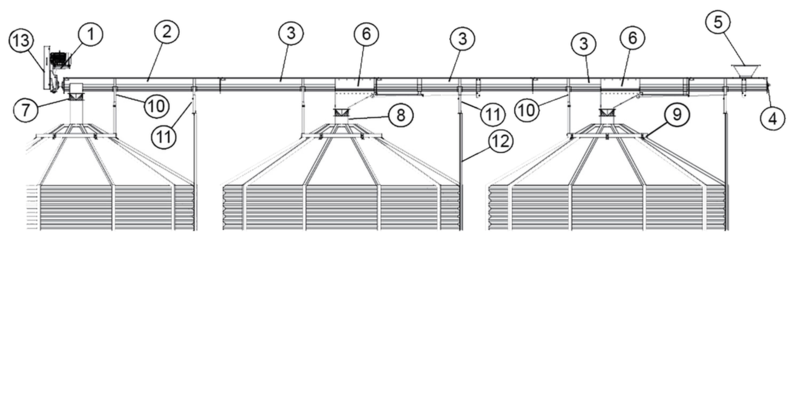 5", 7 1/4", 9", 11", 13", 15"
Screw Conveyors are able to convey a wide range of free-flowing materian and ​can be utilized in many different conveyance applications including underbin,, on-grade, overhead, inclined or even vertical applications. Norstar Screw Conveyors are compact and able to fit in a variety of locations, even in applications that are congested with minimal space. 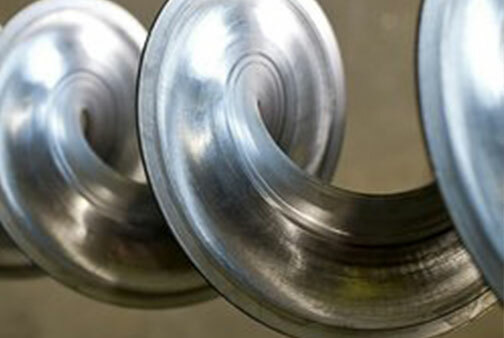 Norstar uses an innovative auger fighting that features a thicker outer edge that allows you to move up to 100 BPH more than traditional fighting. 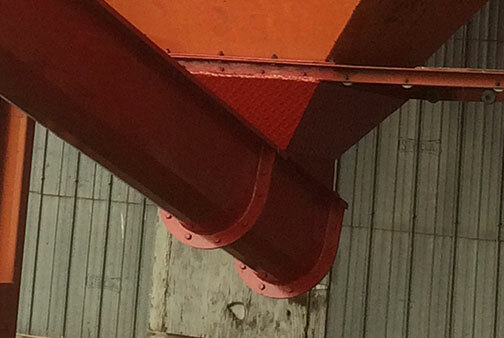 The thicker edge also increases the auger's lifespan by over 50% (9" models and up). 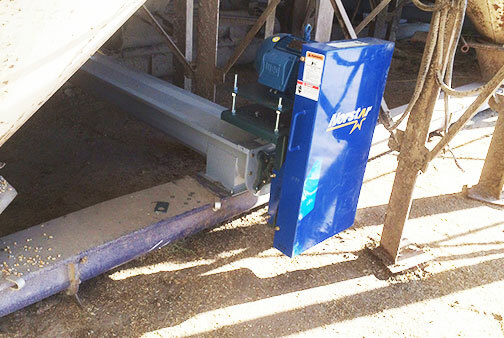 Norstar Screw Conveyors feature Split-Wood Hanger Bearings that allow for smooth rotation of the fighting, minimizing wear and operational noise. All Norstar Screw Conveyors feature our Premium Polyester Powder Coat, providing a long-lasting finish that can withstand the elements. Custom colours available on request. Norstar offers multiple mounting options to choose from. 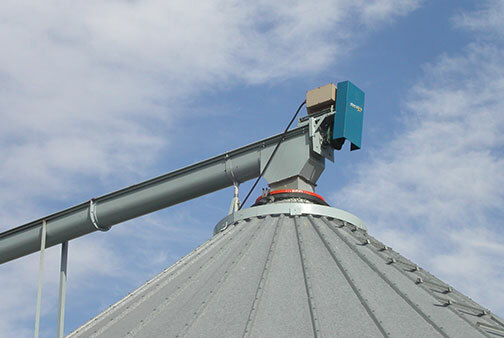 Adjustable Bin and Eave stands as well as Bin Rings are available for overhead applications. Mounting solutions for under-bin or side-structure applications are also available. 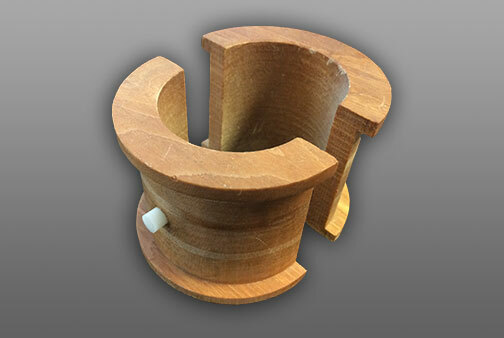 Control the intake of your Screw Conveyor with a Norstar Inlet Hopper. Available with a hinged or bolted lid. Norstar offers multiple discharge solutions depending on the application. 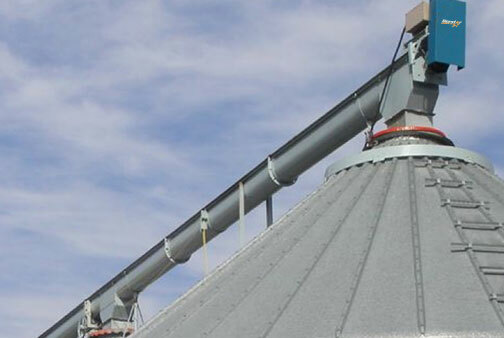 From 2 or 3-way Splitter Valves that offer simple discharge direction; to transitions and custom outlets, Norstar ensures you can move your grain where it needs to go.